This is the focaccia I made this morning. 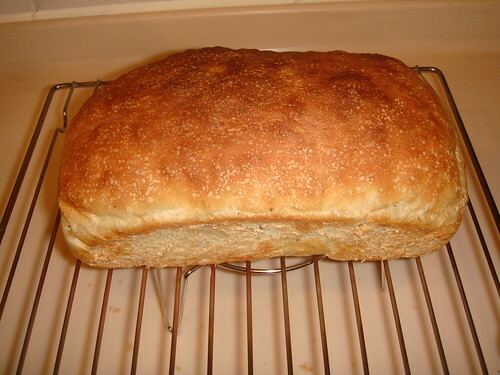 In the past two weeks I have tried to make different bread products by using a single dough recipe. 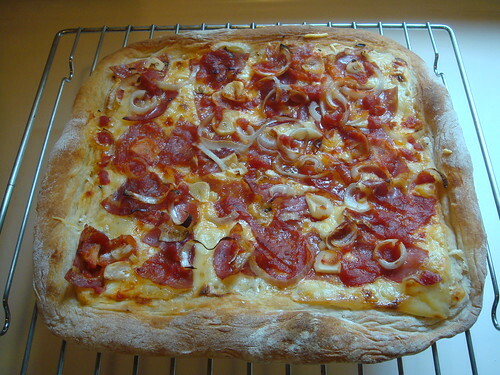 Besides focaccia, I tried to make boule, sandwich bread and pizza. Just mixed all ingredients together and kneaded the dough in the bowl by spatula for a few minutes. Divided the dough into 2 parts and placed in plastic food boxes. Placed the doughs in refrigerator for over 24 hours. 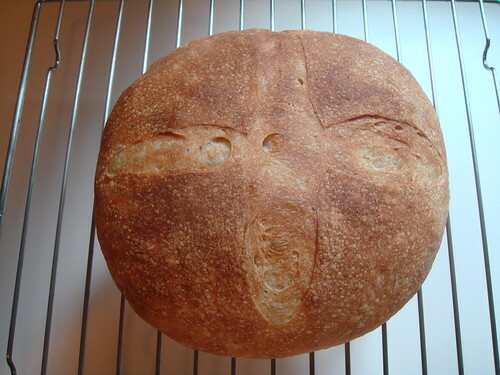 Whenever you want to make bread, just take out the dough from fridge and let it return to normal temperature for an hour before your normal procedures in making bread. Yes, your one does. What was your dough hydration? I don't remeber, I did though follow his formula step by step. They all look great, btw. Thank you very much, Essen1. I can't post hyperlink because I am a newbie.